Surprise your loved ones with a special Number Cake. Select the size 5"/7"/11"/14", Single Digit or Double Digits and let us know the "number" in the remarks section. 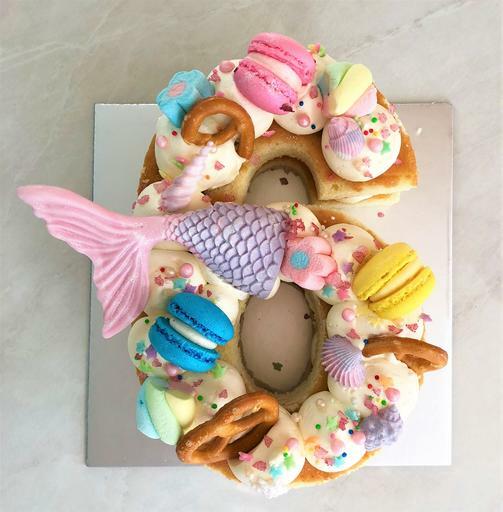 If double digits cake is ordered, only one of the digits will contain the Mermaid fondant topper.